An Bord Pleanála has upheld a ruling that a property owner in Temple Bar needs to apply for planning permission if they want to continue to rent it out for short-term holiday lets. The apartment on Crown Alley in the middle of Dublin's busiest tourist area was let out through Airbnb. Local residents objected to Dublin City Council, which ruled that this was a change of use which required planning permission. That was appealed but today An Bord Pleanála upheld the ruling. It cited the extent and frequency of coming and going to and from the apartment by short term renters and servicing staff. It also cited associated security concerns and general disturbance for other residents, and the fully commercial nature of the activity as reasons why planning permission is needed. 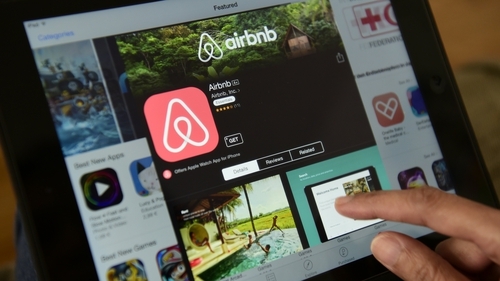 The ruling could have implications for thousands of properties in Dublin and other areas which are currently run as short-term rentals. In a statement after the ruling, Airbnb said: "We remind all Irish hosts to check and follow local rules before they list their space. "This is made clear on our responsible hosting page, which contains useful information and resources on home sharing rules in Ireland."